Don’t let the typical strip mall look fool you. 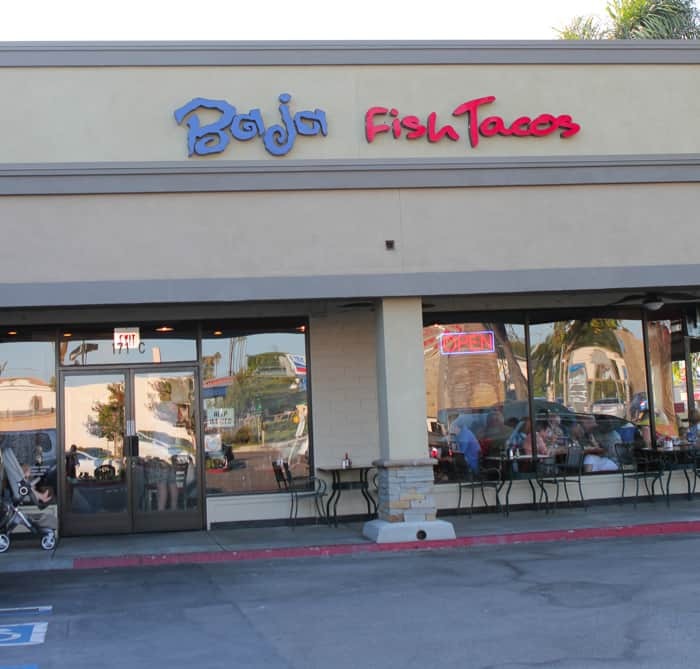 If you’re in the mood for a fast casual mexican food experience than Baja Fish Tacos is a place to try. 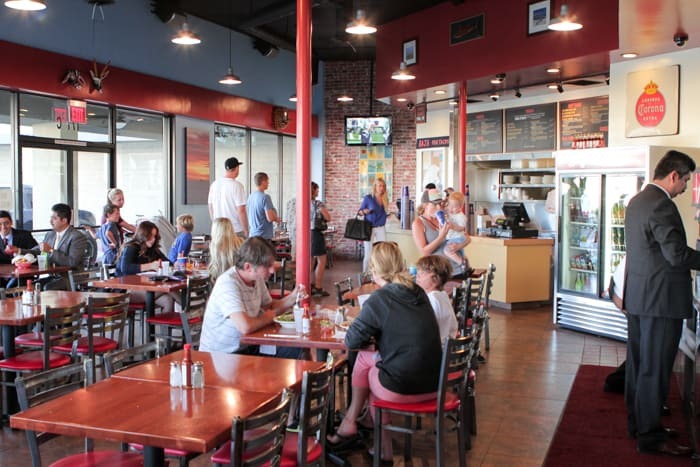 Here, you can expect to enjoy healthy options, flavorful meat, fish tacos, and a fun atmosphere. 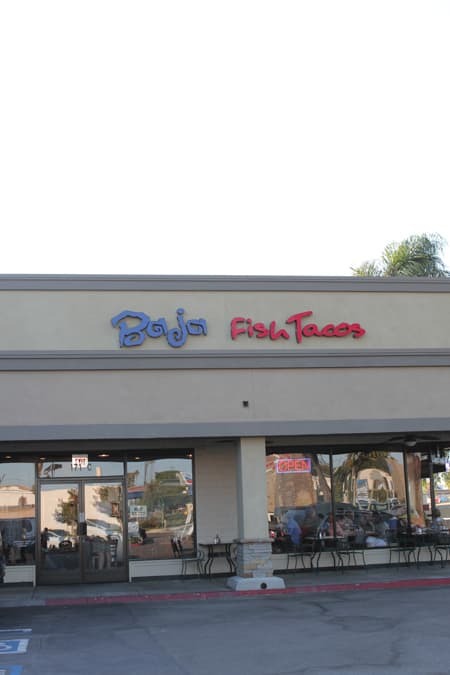 We were introduced to Baja Fish Tacos from friends out on a casual date night. Also, we regularly bring the family, and Cullen frequents the restaurant with coworkers. 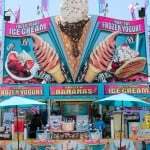 They currently have 6 locations, mostly in Orange County. A bright open air concept adds to the upbeat atmosphere. A glimpse behind the counter. Very simple menu, makes it easy to order. Another side of the menu board. 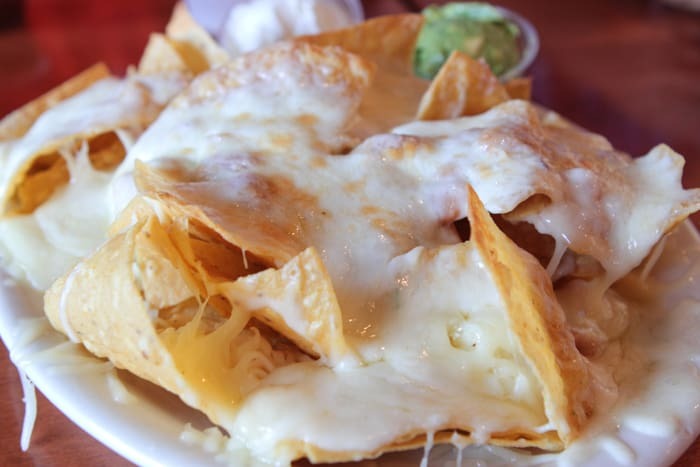 These are the cheesiest and one of the best nachos we’ve ever had. They add pinto beans to this dish…..we promise they’re in there somewhere along with a side of guacamole and sour cream. This bean and cheese burrito is deadly. I (Cullen) prefer less cheese in my burritos, however this cheesy bean burrito worked. It did not lack flavor. Definitely top 5 burrito I’ve had. 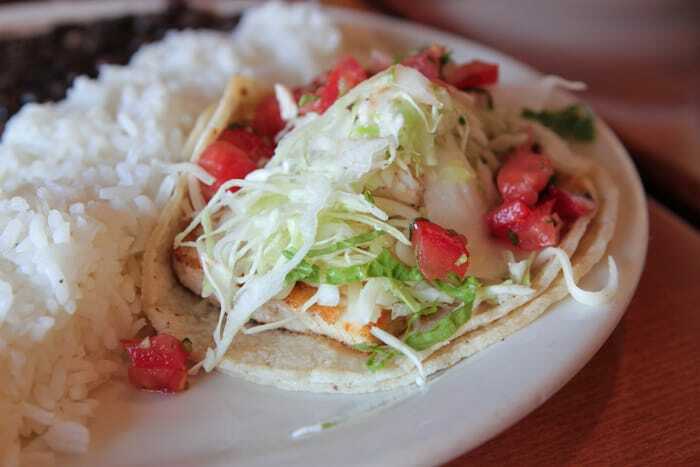 Their blackened fish taco has just enough flavor and is one of their healthier choices on the menu. You can order it served with seasoned white rice and black beans. The fish they use is Wahoo (Ono). We love how they finely shred their lettuce and cabbage. Some tacos we’ve had can be overpowered by thick cabbage, but you won’t have that problem here. Jenny ordered the Baja Bowl which has chicken flavored to meet your taste bud expectations. 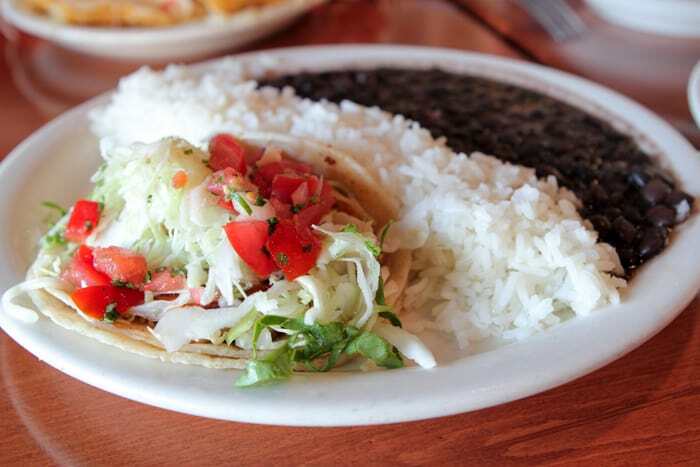 The combination just works with the fine lettuce, pico de gallo, beans and rice. 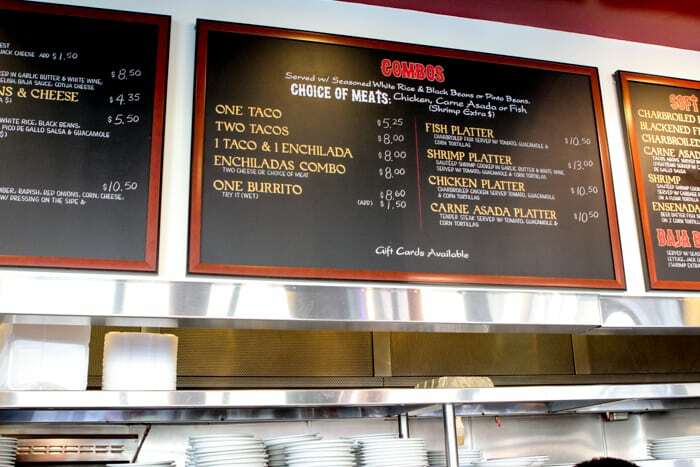 They also have carne asada that is equally flavorful. And, if you’re like Jenny who loves a salsa with a kick, then you’re in luck, as they have two hot salsa options along with pico de gallo in their salsa bar. 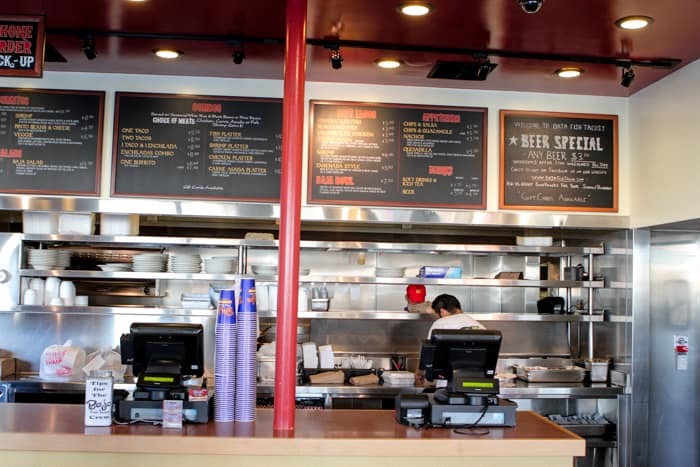 In summary, we recommend this place as an option when looking to go to a fast-casual mexican restaurant. 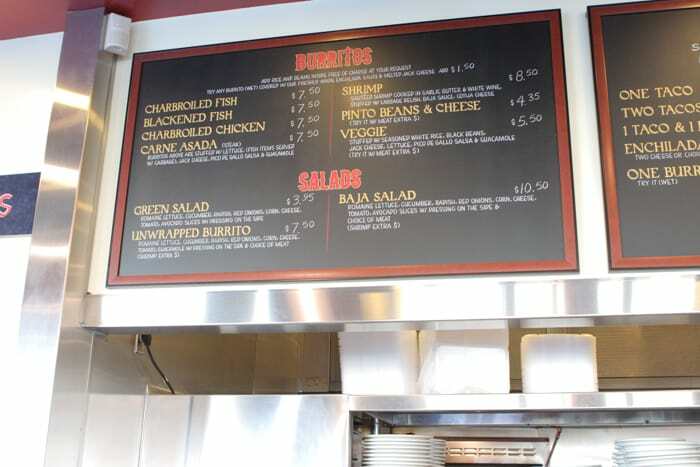 Although, we’d prefer they have a brown rice option, no lard in their pinto beans, and a mild salsa that isn’t pico de gallo (Cullen’s a wimp), we will be returning often. They have great chicken, carne asada, and fish. 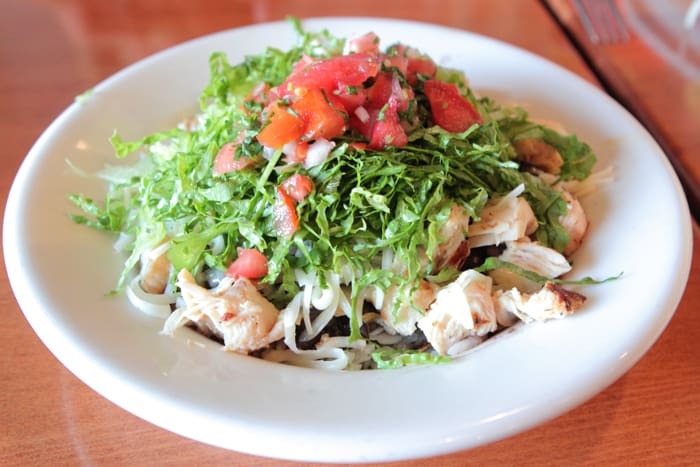 We especially like their Baja Bowl and tacos. We let the kids split a burrito but next time for the kids sake, we’ll go easy on the cheese, include black beans instead of pinto, and add in some of their fine lettuce. 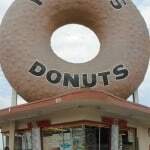 Mmmm…sounds like a neat place to eat! I was just there a few weeks ago when we were visiting friends in Tustin. I really like the blackened fish tacos, too. It’s a great place. We try to go every time we are in Orange County. 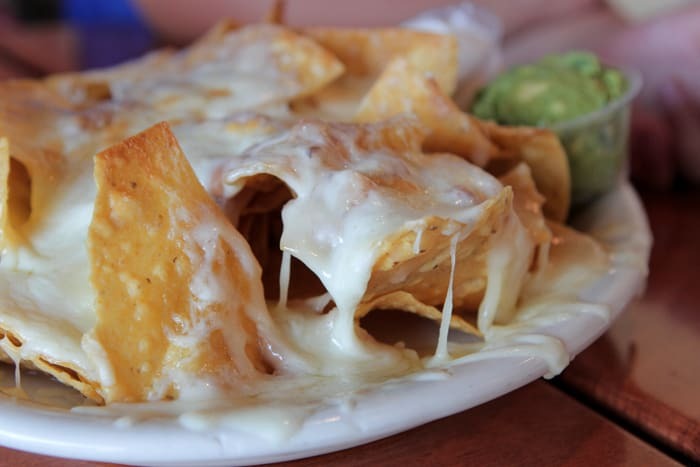 You are killing me with those nacho pictures, oh goodness! 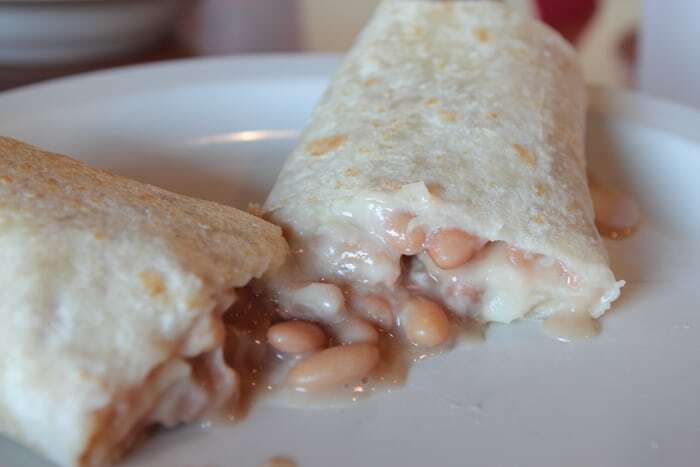 Also kinda craving that bean and cheese burrito like crazy now!